1. It will purchase the K-7 building and land. 2. 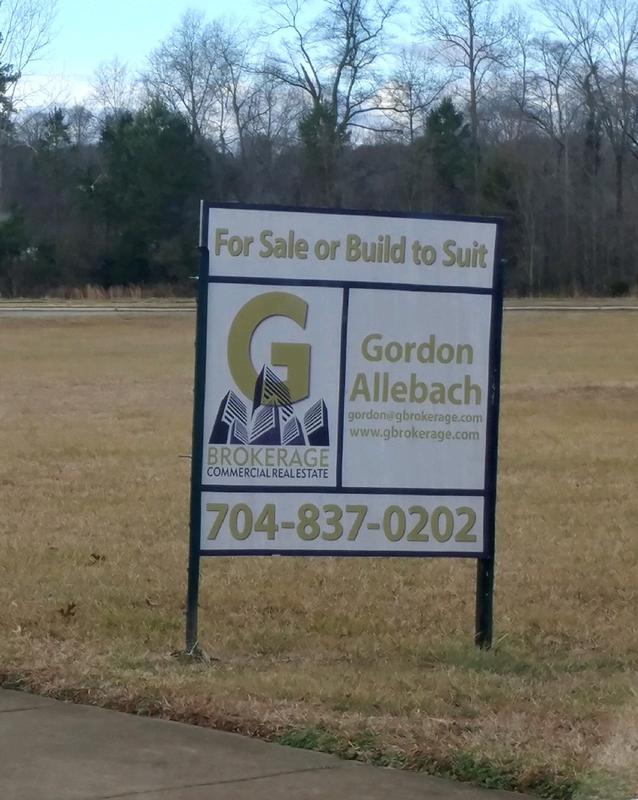 The purchase will be in conjunction with the previously announced plans to buy land in Huntersville for a sports complex. 3. Financing plans are being finalized, and the school has a $250k matching grant drive underway. This announcement is a major step for the school which has been at the Griffith Street site for more than a decade already. The school's lease with extensions allowed the school to stay on the site for another 14 years, but it also contained an irrevocable option to purchase by the end of 2019. This announcement indicates the school is exercising that option. This announcement also blows a gigantic hole in the logic behind the lame duck approval granted by Davidson's former Board to build a hotel next door. During the debate over granting the approval, it was repeatedly implied and insinuated that the school may not be there permanently or that it may move. In one discussion Davidson's former electeds even discussed what could be done with the site if the building was "razed". This of course ignored the facts in the lease which clearly stated the possibility of permanence as well as the likelihood of at least many more years at the site. That flawed logic and the approval based on it is now shown for what it is...a major disservice to the town and community. As previously reported, at the November 14th meeting prior to the hotel vote, former Commissioner Beth Cashion stated during her comments "I also understand they (CSD) are not the owners of that building, they are leasing that building and it’s an understanding, and a pretty clear understanding that CSD will not be there in that building in 10 years to come. CSD bought 40 acres out on Beaties Ford road and are starting to build their sports complex there so, I think we are tasked with a difficult decision." That "pretty clear understanding" now appears very clearly wrong, and frankly, it just wasn't that hard a decision in any event. Decisions between a truly right choice and a truly wrong choice rarely are. Davison's former Board made the wrong one. As fallout from the flawed process that led to that flawed decision based on flawed logic, Davidson now faces a lawsuit to overturn that approval. With this announcement and the realization that the former Commissioners' decision permanently places a hotel practically on top of a K-7 school, funding this lawsuit should become an imperative for the community. In retail, it's all about location, location, location. So, it is with more than a little interest here at aShortChronicle that a new and much more appropriate location has opened up for Davidson's controversial Griffith Street hotel project. Location has always been the issue for this ill conceived effort, so for a better site to become available just as the Town and developers are facing a lawsuit against its approval is quite apropos. 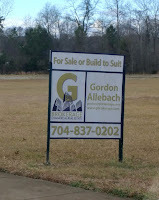 According to a "for sale" sign and the below listing, a site next to I77 on Davidson Gateway Drive is now available. 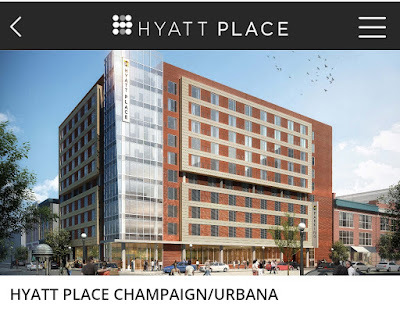 This site would be perfect for the new Hyatt Place. It would accommodate the original design that included a rooftop restaurant with views of the lake. It would be much closer to the existing Homewood Suites and next to the Spectrum property already slated for a hotel. It would be visible from the interstate. Most importantly for citizens, it would NOT be next door to schools and infringe on vulnerable neighborhoods. Per the below from the Davidson Planning ordinance, this property is pre-approved for a hotel and would not have required a height variance - even for the developer's original and preferred 6 story building. Seeking out and using this site would have avoided the entire controversy. it would have avoided the protests. It would have avoided the concern. Conversely, it would have been better for the Town as more tax revenue would be generated from a hotel with a full service restaurant. The proposed location has none. Shops along the street with surface parking behind and under the hotel. The hotel is floors 2-5 and a rooftop restaurant as the 6th. Staff and overflow parking if needed could easily be accommodated by the Homewood Suites owned by the same developer and only a block away. Here's an example of what the concept could look like. 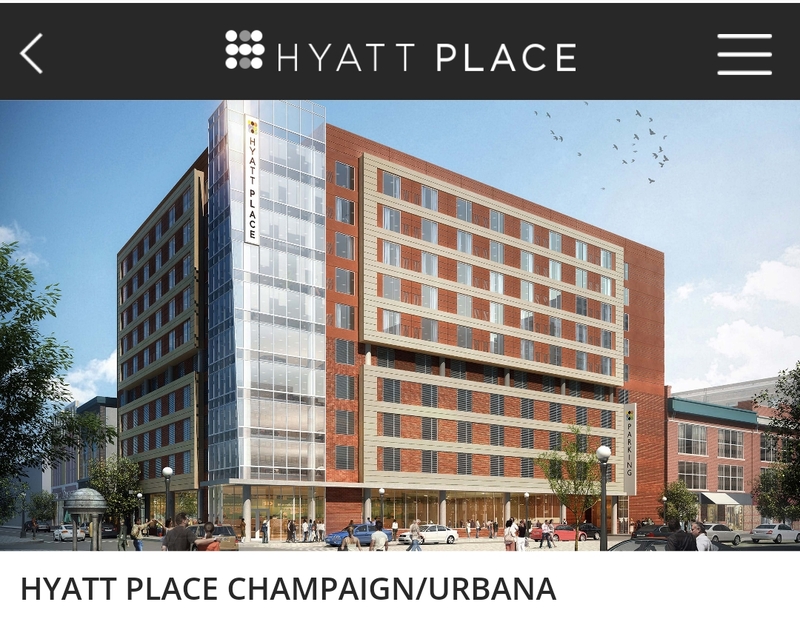 It is the Hyatt Place in Champaign, IL near the University of Illinois. 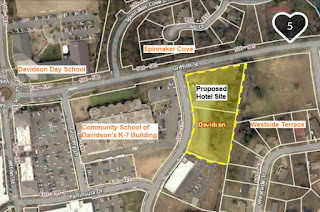 This hotel has more capacity (145 room) and is taller (10 stories) than what could be built in Davidson, but it is also built on a much smaller lot (1/2 acre versus 1 1/4 at this newly possible I77 location). The hotel planned for Davidson currently being challenged is 115 rooms and 4 floors. This new site at I77 could certainly accommodate that with the proper design. As a business decision, this is a no brainer. Please do two things today if you believe this new site is better. 1. Contact Board@townofdavidson.org and ask Town Hall to encourage the development team to look at this better location. The Red Line is Coming! The Red Line is Coming? Mike Collins interviewed CATS CEO John Lewis on Monday during WFAE’s Charlotte Talks. CATS is currently studying the $6-8 billion dollar addition of rail service to Matthews, Lake Norman and the airport - all at the same time. The proposal spurs many questions for Lake Norman area residents. Why is it necessary? How will it be funded? Where will it be located? How would it affect our neighborhoods? The CATS 2030 vision was established in 2002 and was funded by a half-cent sales tax. The tax increase funded the bus system, but as for rail it finded only the Blue Line and its extension. There is no more money for a Red Line to Lake Norman. Lewis stated that the project could potentially be funded by a penny sales tax increase. He said the “math is getting difficult” due to decreased funding from federal and state sources. This would force the project to further rely on rail-related economic development for revenue. Translation: apartments, retail, hotels and offices along the Red Line corridor. The study is considering where the rail would be located. Norfolk Southern, a for-profit corporation, owns the existing railroad and uses it for freight purposes that are not compatible with sharing. Two additional options are adding the rail down the center of I-77 or finding an alternative corridor. Would this involve the large-scale use of eminent domain? Lewis admitted a negative consequence of the rail system is the associated new development which increases the cost of living. This leads to displacement of people and gentrification. Affordable housing has become a problem in Charlotte areas impacted by the rail system. What would this look like in Davidson? Will the future Main Street and Potts-Sloan-Beaty connection be lined with hotels, apartments, retail and offices? How would it affect the residents living in West Side neighborhoods? Will the forthcoming Mobility Plan take the future Red Line into consideration even if its actual implementation is still very much uncertain? These are all major questions Davidson residents need to consider. Make sure to attend the Mobility Plan Community Conversation next Thursday, 2/8, from 6-8:30 pm at Davidson United Methodist Church. 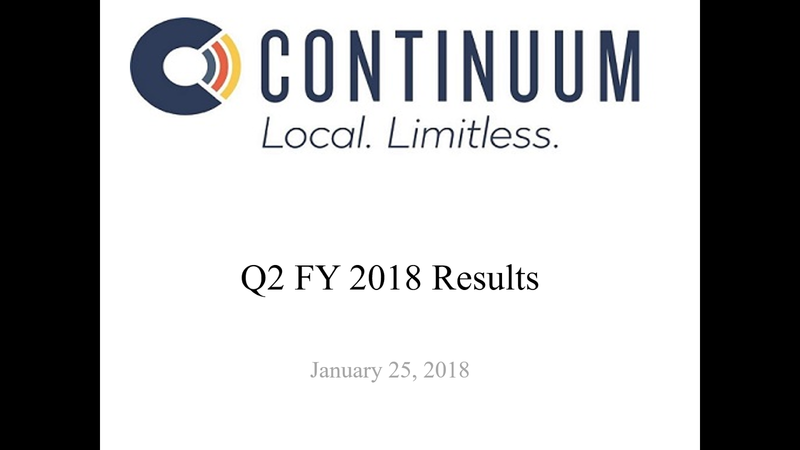 The Continuum Board of Directors met Thursday night for the FY2018 Q2 quarterly meeting. aShortChronicle wasn't able to attend but did acquire the numbers presented at the meeting. 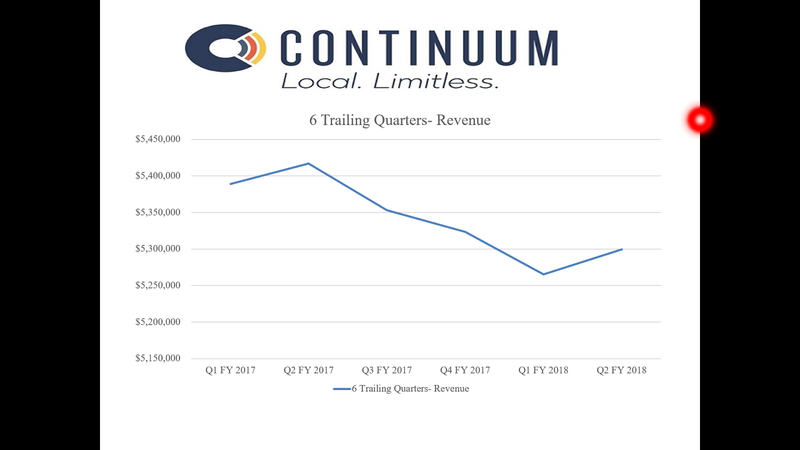 Revenue is down slightly from the same quarter last year. Expenses are up slightly but most of that appears to from the increase in "marketing expense". That would most likely be related to the rebranding from Mi-Connection to the Continuum name. 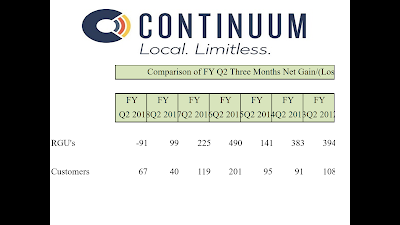 Total Revenue Generating Units (RGUs) are down slightly along with total customer relationships. RGUs are individual services like cable, phone, or high-speed data. Avg Revenue Per Customer is also down slightly. In an environment where the real-estate market is hot and new construction is underway, seeing RGUs and total customers down year over year is not what you want to see. 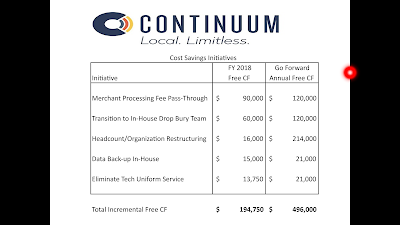 The last slide is interesting in that it details more cost cutting measures which will eventually add to the bottom line. Cost cutting has been the primary way the municipally owned cable operation has been able to reduce its need for subsidies over recent years. Frugality and cost cutting is great, but eventually the operation has to figure out how to grow its customer base. Nobody wanted to be here. That much I assure you. Homeowners near the proposed Griffith Street Hyatt Place Hotel who filed a lawsuit last week to stop the project certainly don't want to be fighting their own town to protect their home values and neighborhoods. Parents of children at the nearby schools reasonably don't want a hotel right next to where their kids' walk and play on a daily basis, and they certainly didn't want to see their Town Hall scoff at any and all of their safety concerns. Neighbors and others who frequent the area don't want a parking situation made worse in an already crowded part of town. All of these groups rightfully expected their town leaders to not put them in this situation, but here we are. Instead of looking for truly smart growth that protects and improves the entire community, by approving this hotel project Davidson Town Hall proved it was more concerned with wonkishly improving the town's walkability score. On top of all this, there is that sense the fix was in since the beginning; that sense the cake was already baked by the time the public knew what was happening; that sense Davidson Town Hall was just going through the motions to give the developers what they wanted - a too big hotel on a too small plot with too little parking in absolutely the wrong place. So, no...nobody wanted to be here. And to be very clear, when I day "Davidson Town Hall" in this case, I don't mean our current elected officials. I mean former Commissioners Beth Cashion, Brian Jenest, Rodney Graham, and Stacey Anderson. Their approving votes as elected officials created this situation by ramming this through on their way out the door, leaving others to deal with the mess. So, while nobody wants to be here. Here we are...with a lawsuit...against our town. The naysayers are right. The outcome is not guaranteed, but the things in life most worth fighting for never are. If they were, you wouldn't have to fight for them because they would just happen. This lawsuit is one of those times. It's one of those things worth fighting for. It is not just the home values, or the nearby schools, or the traffic. It is all of those things and much more. It's about stopping this from happening again - somewhere where it impacts you directly. It's about fighting for a system that is transparent, a system where developers don't get an outsized say in what gets built when a community doesn't want something. It's about making sure towns follow not just the letter of the law but the spirit behind it as well. While this case is about something happening in Davidson, those concepts apply to towns everywhere. That is why I donated to the lawsuit to overturn this approval, and that is why I encourage you to do the same. Luke Charde, PO Box785, Davidson, NC 28036. The checks should be made to "Luke Charde, Special Account" Mr Charde is one of the plaintiffs in the lawsuit. 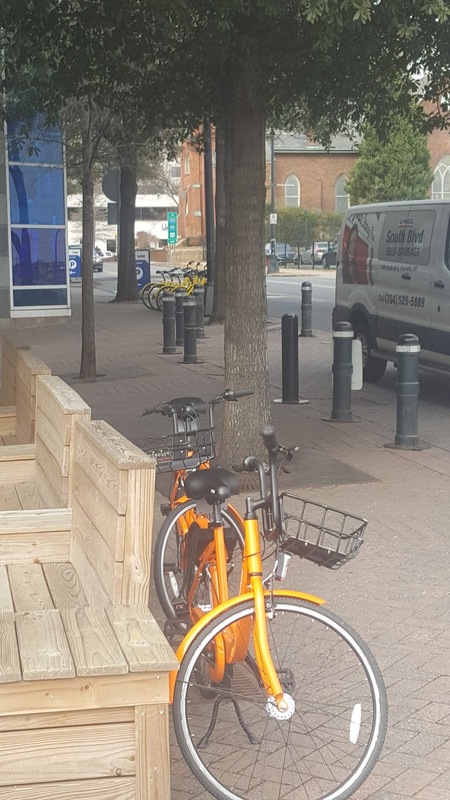 aShortChronicle told readers previously about the sationless bikeshare operations that have recently flooded downtown Charlotte. 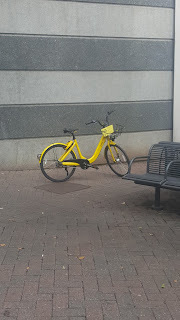 In fact, a new "yellow" bike has shown up by the hundreds since that original post. 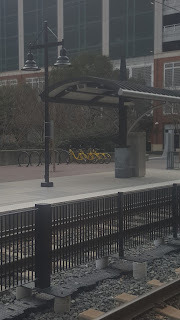 The below photos are all taken from the 7th Street Station area around the Blue Line light rail stop. 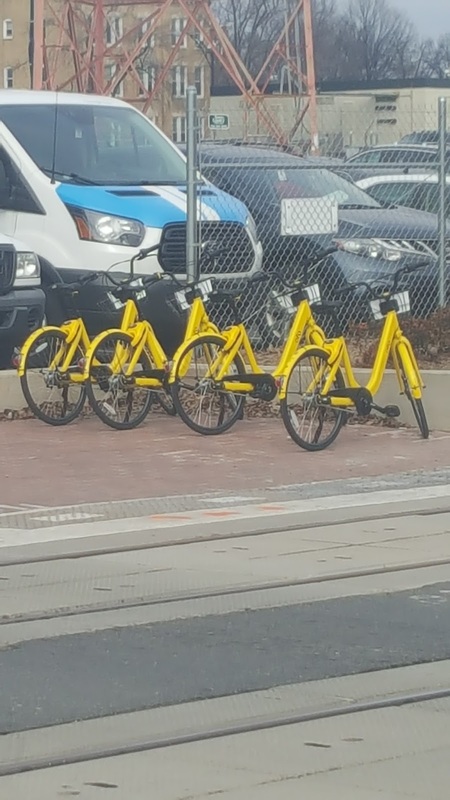 They are from a Chinese company called Ofo. 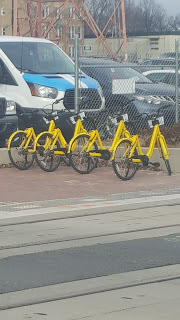 So, while bikes are popping up all over Uptown like mushrooms after a spring rain, the 3 bikeshare units from a company called Vbikes remain the only three seen in Davidson. aShortChronicle has been keeping an eye on these since the first post and finally got around to asking about them. 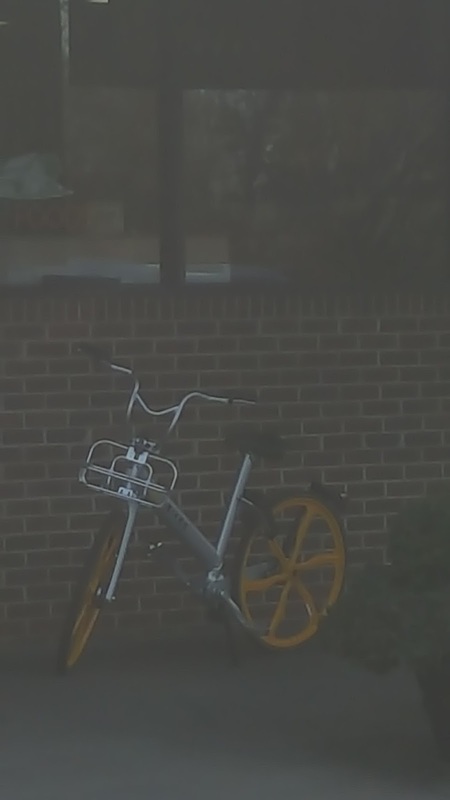 According to a phone call to Vbikes which is based in Texas, the company doesn't have any current partners in North Carolina, but there was a pilot done in Charlotte some time ago. 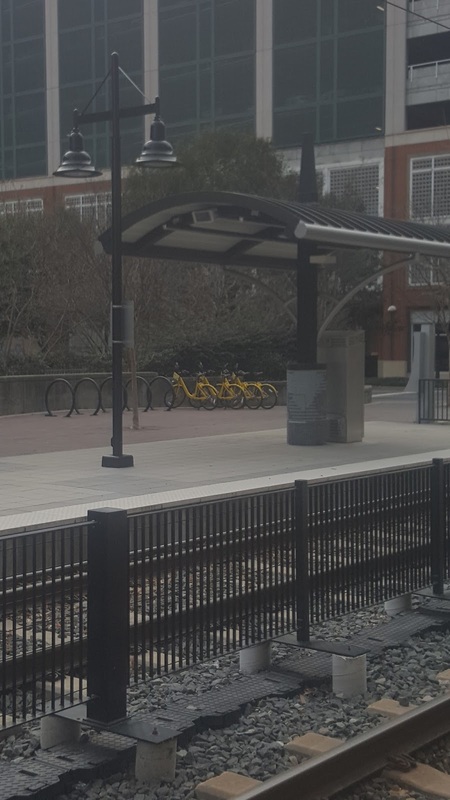 That would explain how the bikes got to the general area, but not to Davidson itself. One of these bikes has been sitting in front of the defunct Healthy Home Market for weeks. The others have been seen in the Circles@30 area, most recently in front of the Lyndon Apartments. These two have also been shown around town over recent weeks in the Vbso someone must be using them. aShortChronicle checked with the Town to see if there might be some sort of effort in the works via Town Hall or if a permit had been requested. According to a reaponse from Christina Shaul that does not appear to be the case. The Lyndon isn't sponspring them yhough yhey do have two bikes available for sharing with residents, Also, the Vbikes aren't being managed by Davidson College. 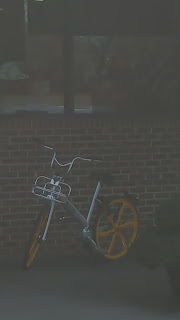 So, for now who (if anyone) is managing Davidson's nascent Vbike operation remains a mystery. 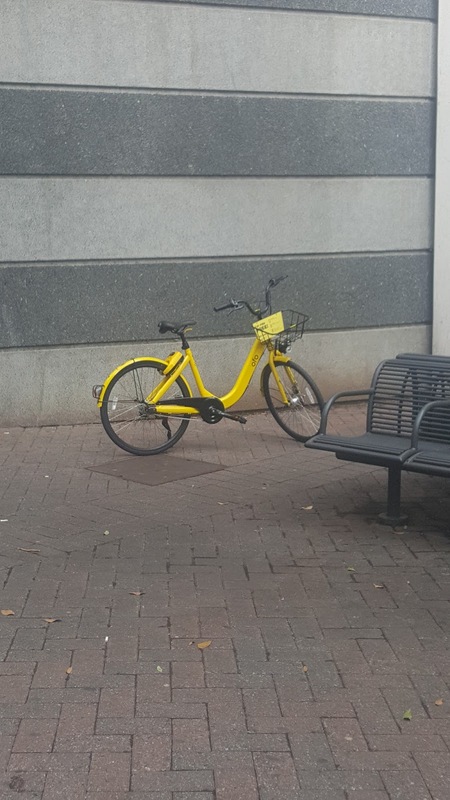 However, that doesn't mean the concept of bikesharing isn't on the radar here locally. According to Shaul, bikesharing will likely be discussed as part of the Mobility Plan that is just getting underway. Something more immediate is also in the works at Davidson College. 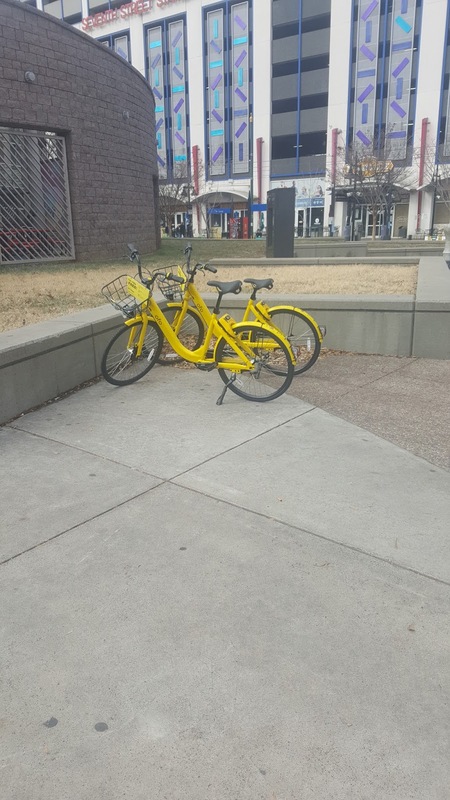 According to Yancey Fouche with the College, "the College is working towards a soft launch of bikeshare this spring with a third-party vendor. 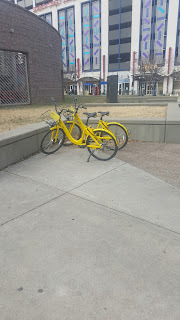 We are still in the due diligence period to iron out some logistical questions and finalize the agreement, but hopeful that bikes might be in place for students’ return from spring break in mid-March. 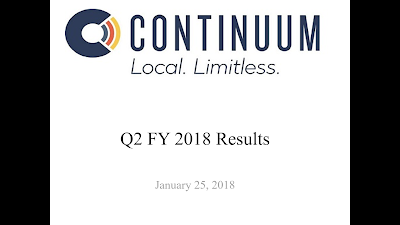 We and the vendor will review and discuss the program’s performance over the summer to inform any changes or improvements needed for students’ return in fall." The idea is that this will help address the transportation needs of the 50% of College students who dont have access to a car and reduce the need for students to have to transpprt their own bikes to/from home each year. Fouche goes on to say "the bikeshare launch this spring is intended to support Davidson College students, faculty and staff. 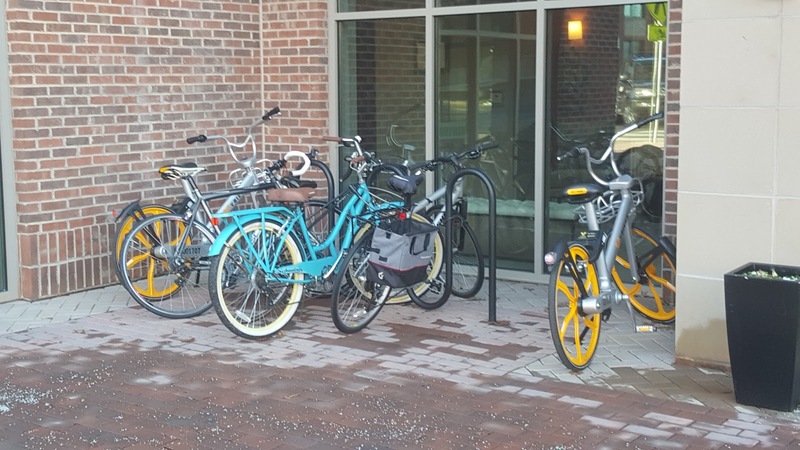 The Town and collaborators on the Mobility plan will watch our program to consider the possibility of expansion beyond the College, and to provide feedback on successes or concerns when bikes leave campus property. The bikes will have a vendor phone number on them as the best point of contact for specific questions and concerns. The company will maintain a team to help “rebalance” (move bikes from less-popular to more desirable locations) and respond to any issues. The success of the program will rest entirely on its users – the bikes and related IT platform are incredibly sophisticated and generate loads of data that will help the vendor to respond to transportation trends, problems with bikes, and plan for future improvements. We will do all we can on campus to get the word out about the program and responsible use, including appropriate bike parking. 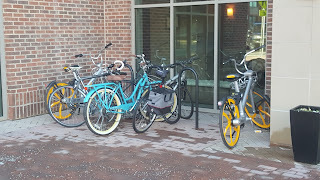 I am very curious to see whether campus chooses to use the bikes at a high level and whether they focus their rides on campus or venture into the “Bronze Bicycle-Friendly Community” of Davidson!" Melissa Atherton attended the "Commissioner Chat" at The Egg in Davidson on Monday Morning. Here's a link to the video snd the notes she took. ● Robert Bullard will give his keynote lecture, “Climate Change as a Human Right: Why Equity Matters,” on Tuesday, 1/23, 7 pm, at Duke Performance Hall on Davidson College Campus. Bullard will also be at an informal drop-in chat on Wednesday, 1/24, 10:15 am, in the second floor lobby of Wall Academic Center at Davidson College. ● Davidson BOC’s Retreat will be held locally Thursday, 1/25, and Friday, 1/26, at River Run Country Club. The retreat is open to the public. Commissioner Jane Campbell said keeping the retreat in town will save $5,000 and create the opportunity for transparency. Commissioner Jim Fuller stated that the board is unanimous in their desire for positive, transparent communication. ● A lawsuit has been filed on Davidson’s Griffith Street Hotel decision. The board will discuss this issue in a closed session on Tuesday, 1/23. ● The vacant storefronts on Main Street have to maintain appearance guidelines. The owner’s corporation is reportedly looking to fill the vacancies with “high-end” restaurants. ● A citizen stressed urgency in protecting the nineteen acres of town-owned land on Beaty Street. The BOC is reportedly looking for a different level of public input. Commissioner David Sitton stated that this is a high priority for him. Commissioner Campbell stressed the need for public discourse and “out-of-the-box” ideas, whereas the Parks and Recreation process could potentially take 15-20 years. ● The Town of Davidson is spending $20,000 on the Mobility Plan. Citizen concerns included sidewalks and safety issues on Watson, Delburg, Beaty and Shearer Road. Mayor Knox recognized that much of the traffic in town is due to people passing through on their way to other towns. He also stated that Davidson does not have three major north-south road options like Mooresville and Cornelius (I-77, Statesville Road and Old Statesville Road) because we do not have Statesville Road. 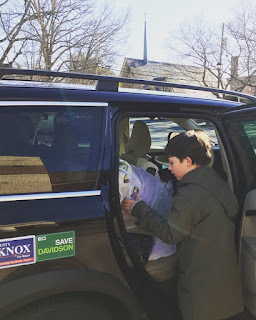 Knox acknowledged that he does not think the Potts-Sloan-Beaty connection will solve our traffic problems. The Mobility Plan will not include safety improvements for bicyclists on Shearer Road. ● Commissioner Sitton is actively advocating for the Comprehensive Plan to start earlier than summer of 2018. He stated that Davidson has a significant infrastructure problem. ● A citizen requested improvements to the public records request process. ● Town Manager Jamie Justice said there is no public input session scheduled for the Potts Development at this time. He stated that the developer, Crescent Communities, will have to present their plan to deal with the recommendations made in Kimley-Horn’s Transportation Impact Analysis (TIA). A citizen questioned why Crescent is being allowed to include NCDOT Project U-5873 in their TIA, but exclude the project/road from their open space calculations. Another citizen questioned why the developer would be allowed to make payments in lieu, rather than improving the intersections. Justice replied that the NCDOT plan has not been finalized yet and the developer only has to mitigate their portion of the total impact. ● A citizen praised the new board and requested continued “healing” after the election. After multiple protests, dozens of speakers at Town Hall, a 10-0 Planning Board vote against the project, and a lame duck Board of Commissioners vote pushing the project through after being routed in the November election, a lawsuit was filed last week seeking to overturn the zoning decision allowing a Hyatt Place hotel to be built on Griffith Street at Davidson Gateway Drive. 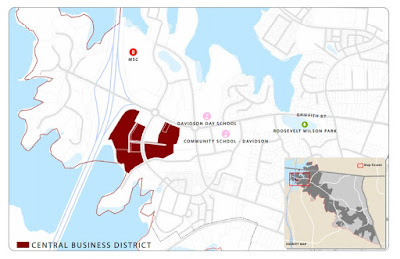 The proposed project is adjacent to the Community School if Davidson K-7 building and the Westside neighborhood and across the street from Spinnaker Cove and Davidson Day School. aShortChronicle has obtained a copy of the legal claim filing, and here are the basic details. over 20 Plaintiffs from nearby properties are on the petition. the Defendants include the Town of Davidson and the landowner/development companies. 7 different claims are stated including claims of various procedural issues involving the zoning change as well as a claim of spot zoning. Of the claims in the filing, the ones that may resonate with residents the most involve procedural issues around the public information process for the approval. The facts that there was not a formal public information session for the significantly revamped second application for the hotel and that the Planning Board 10-0 negative recommendation was not available at the official public hearing as prescribed by the Davidson Planning Ordinance speak to the transparency issues that have roiled the town for the past few years. aShortChronicle spoke with Luke Charde of Spinnaker Cove. Charde is one of the plaintiffs, and he indicated that more people may be added as plaintiffs in coming days. The initial claim was filed under a deadline and work continues on that front. Lawsuits cost money, and to support that side of the equation, a major fund-rising effort is also underway. aShortChronicle spoke with Maria Chilton who has set up a Go-Fund-Me site to support the cause. Chilton said that in addition to significant funds raised to research and file the claim, the Go-Fund-Me site has been set up with a $30,000 goal. Anyone concerned about this project is encouraged to donate what they can. 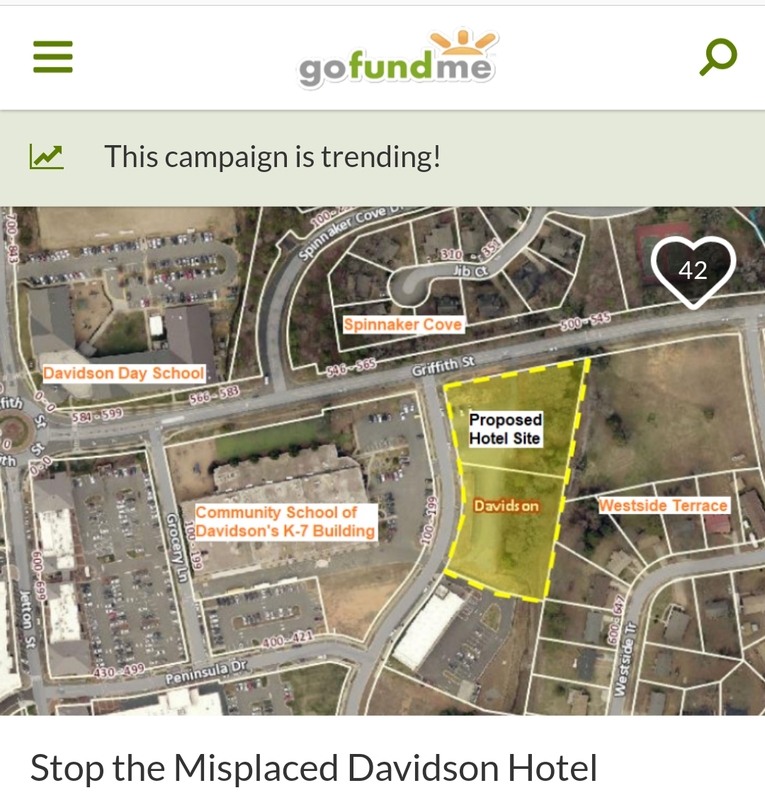 The site is named "Stop the Misplaced Davidson Hotel". It can also be reached directly at https://www.gofundme.com/stop-the-griffith-st-hotel. Questions and inquiries on how you can help can be sent to misplaceddavidsonhotel@gmail.com. Again, seeing a suit filed to stop this unpopular project should not be unexpected - particularly after the way Davidson's former leaders pushed it through. After a year that saw consistent pushback from citizens against Town Hall's actions, now it looks like that pushback is headed to court. Check back regularly for more on this story as it unfolds. A disappointing tale of money indiscreet. 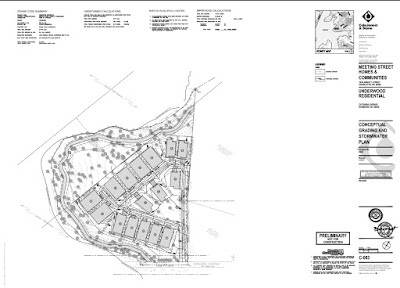 The Orphan Triangle (OT) is the small lot on Lake Cornelius next to the Lake Norman YMCA. 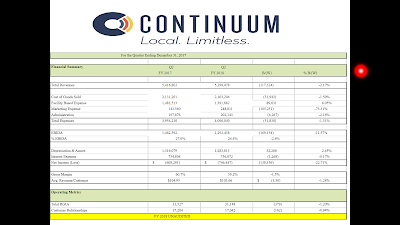 According to Polaris 3G, Belmont-based Davidson Acquisition Company LLC owns both the Potts Property and the OT. The Managing Partner of the LLC is Keith Hawthorne, an out-of-town car dealership owner. The Potts Property was purchased in November 2014 for $3,150,000. The OT purchase was reportedly coordinated with Duke Energy and sold for $100,000.00. The OT is an indispensable partner to the development of 246 apartments and fourteen town houses on approximately fifteen acres in the Critical Watershed. It provides the high-density complex with both open space and the pervious land necessary to to meet the 50% maximum built-upon surface area requirement. Davidson Planning Ordinance (DPO) requires lakefront property in master plans, such as the Potts Development, to be publicly-accessible. There is presently no way for the public, or the future apartment renters, to access the OT without trespassing on private land. How will the developer deal with this problematic lack of connection? Here is where the Lake Norman YMCA enters the picture. Davidson Planning Department staff have stated that the developer reportedly intends to secure an easement from the YMCA to connect to the lakefront parcel. The new Executive Director of the Lake Norman YMCA, Matt Fitzwater, has not publicly commented on this potential deal. The developer provided a descriptive marketing packet at a meeting with adjacent landowners at a private home on Catawba Avenue in Davidson in July. Bizarrely, the marketing featured the Red Line and Olde Mecklenburg Brewery, neither of which presently exist. The developer’s marketing also brags that “The entire town will be encouraged to use our amenities--from a dog park, to lake access, to a network of trails that lets residents and visitors get to and weave through the community,” (Crescent Davidson by Crescent Communities], July 12, 2017). Any semi-seasoned Lake Norman resident has a pretty solid understanding of local issues such as traffic, parking and lake access. Where will the “entire town” park when they use the apartment complex dog park and weave down to the lakefront access? It seems unlikely that they will be allowed to use the limited spaces at the apartment complex. It is improbable that homeowners on Potts Street and Catawba Avenue in Davidson will give up their driveways and front yards. Most certainly, people on Church Street in Cornelius will not tolerate the general public parking on their road. And who could blame them? Given that the developer’s plan shows the easement and greenway along the back edge of the YMCA soccer field, it seems plausible that the general public will park at the YMCA. Will the YMCA provide the easement and risk losing current loyal members who may have to compete with the general public for parking? The Orphan Triangle is the missing piece in this Double-Town Puzzle. Keep watching the key players: Lake Norman YMCA, Davidson and Cornelius Boards of Commissioners, Kimley-Horn, and NCDOT. 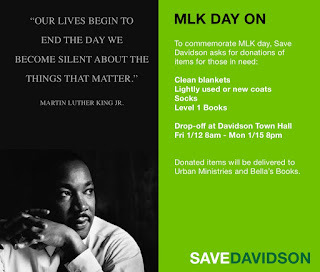 Save Davidson collects donated items for MLK "Day On"
The Save Davidson community activist group conducted a donation drive over the MLK holiday weekend to collect cold weather items and books. Starting with an ambitious goal of 100 coats, 100 blankets, 100 socks, and 100 books, items were collected in front of Town Hall. 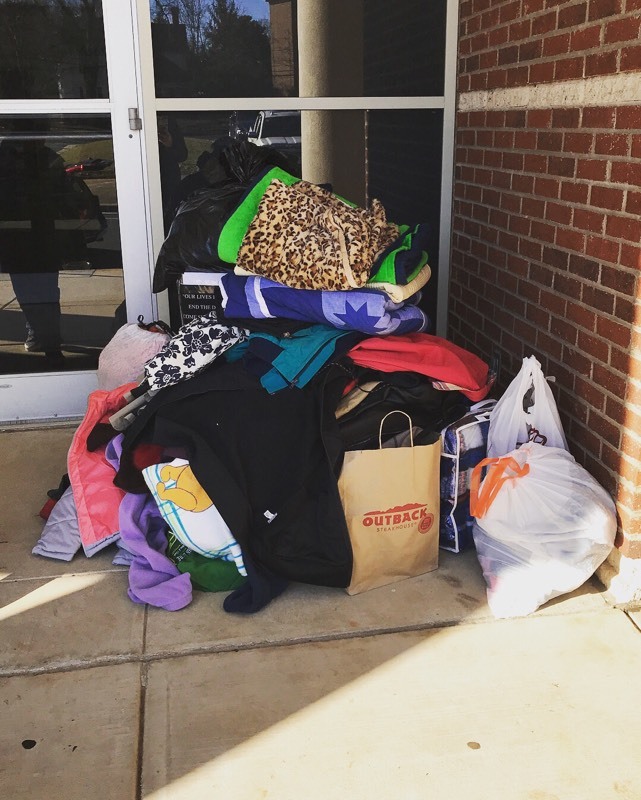 Items piled up quickly over the weekend requiring multiple trips to collect it all. 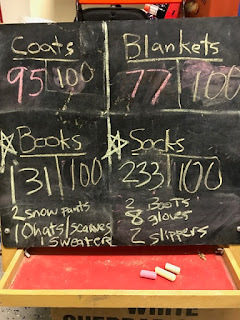 Showing the generosity of the community, as of Tuesday morning here are the totals so far. Due to the positive response, the drive has been extended through Friday. aShortChronicle reached out to Save Davidson to get the background on the effort. Here's what the group had to say. After learning that the Town of Davidson historically does not observe MLK Day in an official way; Mayor Rusty Knox challenged himself and the board to plan something next year and further stated that “citizens should treat the day as a 'Day On' vs. 'Day Off.' 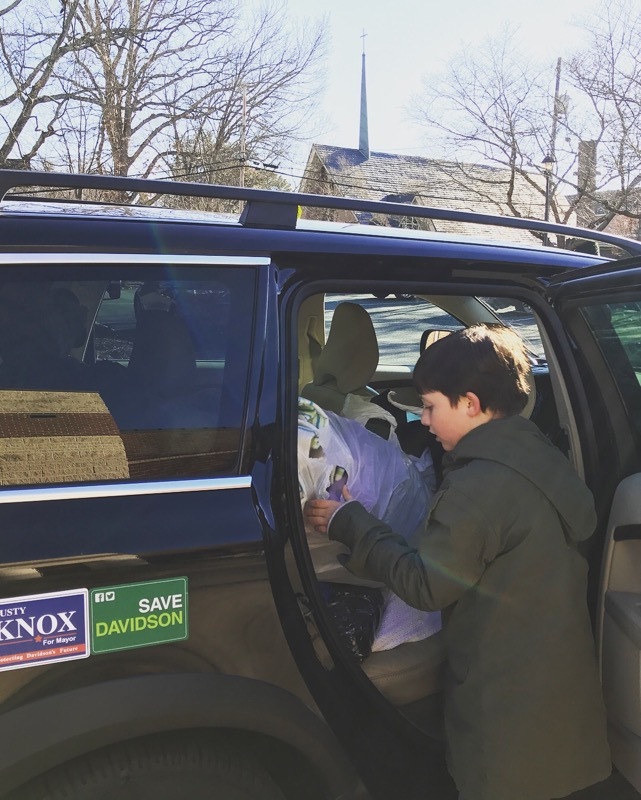 This inspired Save Davidson leadership to support the new Mayor and Board by doing what they do best; springing into action to draw from their base and organize a town-wide coat, blanket, sock and book drive. The group's response was swift and overwhelmingly generous. 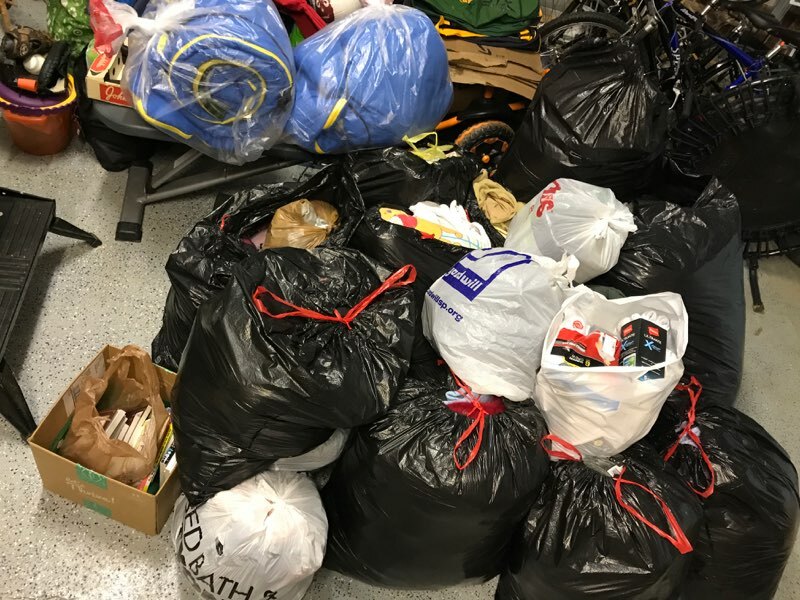 Together, Save Davidson members along with Davidson, Cornelius, Huntersville and Mooresville residents shattered the original goal of 100 of each item needed. Because the need is so great and donors so willing, Save Davidson has extended collections at Davidson Town Hall to Friday 1/19 at 8 p.m. Donations are greatly appreciated and Save Davidson members are excited about opportunities to partner with the town on community initiatives that support Davidson residents. As examples of how the items will be put to good use getting directly to those in need, many of the socks will be going to DCPC's Room in the Inn program to be distributed to guests. 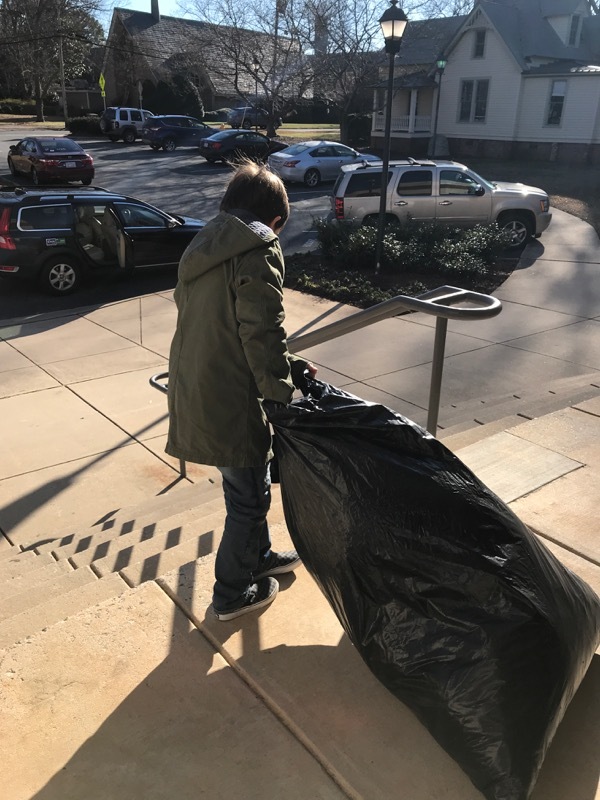 aShortChronicle recently told readers about this program to provide additional shelter during the winter months. See article here. Many of the other items will be distributed directly to the homeless via the effort at St Marks. 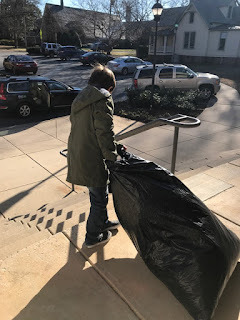 According to Steve Miller who volunteers with that effort, the St. Maximilian Kolbe Fraternity Secular Franciscans @ St. Marks takes "donations of winter clothing and sleeping bags and takes them directly to the people on the street who need it the most. Some of these people -for whatever reason- cannot go to shelters, and we can be the difference between a comfortable night and a very cold one." With many more cold nights ahead this winter, it's great to see people coming together like this to make a difference. The Mobility Plan has both Town of Davidson and outside-source funding. The Town’s portion is $25,000 and the additional $100,000 is from Charlotte Regional Transportation Planning Organization (CRTPO) and Unified Planning Works Program (UPWP). According to Johnson, the plan gives citizen engagement high priority through community conversations, a stakeholders’ committee, digital outreach (Wiki-Map), open forums, and a four-day charrette. Citizens can anticipate the Mobility Plan website to arrive in late January or early February. Community conversations are proposed for mid-February and the charrette will be held in mid-to-late March. The charrette’s purpose is to include the community in identifying and solving transportation issues. Walker explained the Mobility Plan origin as being a result of planning efforts that have and have not accomplished plans from 2002 onward. The goal is to identify what is still valid from the various plans, what has changed, and identify solutions moving forward. Walker stated that the plan is: actionable, feasible, multi-pronged, balanced, sustainable and forward-looking. Commissioner David Sitton stressed the critical importance of finding synergies between the Mobility Plan and the Comprehensive Plan. Transportation, connectivity and development are hot topics in Davidson discussions lately. Will the Potts-Sloan-Beaty Corridor (PSB) truly offer relief, or will it just help get us to the traffic at Jetton and 115 quicker? Is there scientific data available on the benefit of the PSB? How will it affect our historic West-Side neighborhoods? Are there additional East-West options for connectivity? What alternative routes can be explored to move traffic from Mooresville to Concord? How will the development-related population increase affect traffic (Davidson Bay, Hyatt Hotel, Davidson Depot, Davidson East, Davidson Hall, Davidson Springs, Davidson Wood, Green Level, Lake Cornelius Residential, Potts/Crescent, Summers Walk, Summit at River Run, The Villages of South Main, Washam Neighborhood and WestBranch)? Residents finally have their opportunity to provide feedback. Plan to add your ideas to the Wiki-Map and attend the charrette when it is scheduled. Artists are encouraged to apply to display and sell art during the Gallery Crawl and Art on the Green, and businesses are encouraged to apply to serve as venues for the Gallery Crawl. The deadline for applying is February 26.
Who Plans a Party for “Community”? Mayor Rusty Knox appeared a bit surprised that his idea—“to organize community dinners on a periodic basis to bring citizens together as a fellowship and community building initiative”—had been added by staff to the evening’s agenda. Staff needs to check options including health codes and logistics, for a potential April Town-wide Potluck. Wasting no time in describing his hope for healing in the presence of food and fellowship, Mayor Knox touched on divisiveness in political circles prior to Davidson’s 2017 elections, insisting that the community dinner was not an East-West or Concert on te Green type event but an “all 28036 thing” for everyone. He named many potential outdoor sites such as soccer fields, Village Green, Fisher Farm, Summers Walk’s Green, Davidson College, Roosevelt Wilson Park and more before noting that uncertain weather may call for an indoor venue (or several). Before this good idea gets too complicated (as have other “community” building plans initiated in Town Hall), let’s define “community” and consider examples of genuine community-building dinners. “Community” is a noun sometimes massaged into possessing active verb life-changing potential: Pick a time and place—Town Day or Concert on the Green—and bonds of “community” inevitably will emerge. But, that rarely happens. It was spontaneous enthusiasm that sparked almost instant community as citizens from every angle of Davidson’s borders—and the existing Middle—became fast friends in the Save Davidson movement FOR its future. Common and varied interests—known or discovered speedily—turn strangers into lifelong friends, supporting each others’ shared objectives. Parallel play (shared time and space) never have nor will automatically create “community.” “Community” is not a top down mix of people without some shared concern. The Mayor’s concern is reviving Davidson’s heart for the wellbeing of the Town and each other. So, what is the best M.O. for building community? Food is always a draw (for himself, the Mayor admits); but, who, where, why, and how to make a 28036 dinner happen in a winning way? Well, perhaps as a warm up, the following came to mind as possibilities. 1 Dinners should consist of small groups in homes willing to learn more about and from others—newbies and Old Guard—who haven’t met. 2 What about a Progressive Dinner starting with appetizers at Gethsemane Baptist Church, moving to Davidson Presbyterian Church on Depot St for BBQ or Fish Fry, and concluding at Davidson College Presbyterian Church for dessert? It’s even walkable! 3 What if people chose Topics or Subjects that interest them: from streetlights, transportation, recreation, etc., areas of Town life they would like to work on after breaking bread with like-minded others? 4 My favorite: Saturday morning Potluck Breakfast. That’s something that may be easier because of timing, more free time to talk, and no one’s having a big investment in food cost. There are many ways to inspire—in natural and easy settings—the kind of community that changes the way most are coming to feel about sharing time and talents in our terrific town. Oh, and following each community dinner—no matter how small—there is a “Satisfaction Survey.” It allows participants to describe pre, during, and post dinner feelings, as well as stating what involvement they want to offer because of the experience. When surveys are “summarized”—with key concerns glossed over by those who may have arranged the event and worded the survey—they are, well, less reliable. Just tell it like it was! Can’t imagine a better new Mayor to arrange an after-dinner Group Hug! · Use SeeClickFix, a module that enables citizens to report an issue related to public services such as a pothole, uneven sidewalk, overgrown weeds, etc. public safety (loose or dangerous animals or traffic safety concerns). SeeClickFix is not a tool to report emergencies -- if it is a true emergency, please call 9-1-1. Davidson's new Board met on Tuesday for its first regular meeting since the election, and the change in tone from the dais was palpable. Gone was the tension between official Towndom and the citizenry, something that had unfortunately become a fixture of packed Town Hall meetings in recent years. Replacing that tension was good conversation among all electeds, authentic conversation. None of it seemed staged. On almost every agenda item, the conversation circled back to gaining real citizen involvement in the process of government. The Board adopted a new meeting schedule with comments that it was still a work in progress. The 4pm Tuesday work sessions will likely become just that, heads down work sessions rather than meetings filled with presentations that are pertinent to the public. The new schedule also shows that the 3 day retreat in late January has now been moved to the River Run Country Club in town instead of being out of town where it is not easily accessible to the public or media. That's a decision that was apparently made during the mini retreat last Friday. Another agenda item that was supposed to receive a vote was delayed so citizens would have time to review first. That was the vote regarding adoption of the new Rules of Procedure aShortChronicle wrote about here. The new Rules had just been posted last Friday, and Commissioner Fuller, who was attending the meeting via phone suggested the Board wait on their approval until citizens had a bit more time to check them over. There were multiple conversations about planning related topics. Various comments from Commissioners showed that expectations of the Planning Department and the planning process will change. Instead of advocacy of positions, the Board is expecting information, both pro and con, to make decisions. It was also mentioned the citizen Planning Board may get a different charge where that body provides input above and beyond just saying whether or not something is "consistent" with current plans. The last agenda item was even a discussion on setting up a series of "community dinners". 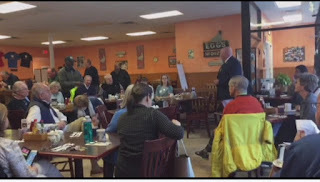 The idea was presented by Mayor Rusty Knox as a way to put the divisiveness of the past couple years and the recent campaign behind the town and to provide an opportunity for interested Davidsonians to get to know people from various neighborhoods. Check back tomorrow for more on that idea in some commentary by Barbara Bryan. Finally, just before closing the meeting new Commissioner David Sitton provided some off the cuff responses to citizen comments given at the beginning of the evening on a range of topics. As someone who was a regular commenter himself at public meetings over the previous year, Sitton wanted the speakers to know they had been heard and that their words weren't lost in the ether. All in all, this new Board put its best foot forward in its first meeting, and if these first appearances mean anything the public should feel good that their input will be more welcome than in the past. For Davidson, that is a very good thing. The devil is in the details when it comes to openness and transparency, and the new "procedures" to govern Davidson Town Hall up for consideration at Tuesday's Board meeting show that things may be looking up. One of the items that has regularly concerned citizens over the years is "who controls the agenda". In the past, for Board meetings that has been the Mayor and the Town Manager - an interesting combination since neither of those positions has a vote when it comes to actually deciding things. Below is the language on agendas from the old Rules of Procedure. citizens may ask to have an item placed on the agenda as long as it is received at least five working days before the meeting. If the Mayor and Manager agree, the item shall be added to the agenda. While citizens and Commissioners could ask for items to be on the agenda, there was no guarantee these requests would be honored. A request the Mayor or Manager didn't like would not even necessarily see the light of day as far as the public was concerned. aShortChronicle noticed something new regarding this area in the new Rules of Prodedure up for a vote at Tuesday's Board meeting. See the full new agenda language below. business placed on the draft agenda must be received by the Town Manager at least four working days before the date of the meeting. The Town Manager must place an item on the draft agenda in response to a board member’s timely request. draft agenda, as much background information on the topic as is available and feasible to provide. package shall be furnished to each member at least twenty-four hours before the meeting. documents are ready to be, or have been, circulated. (b) Adoption of the Agenda. make whatever revisions it deems appropriate, and adopt a formal agenda for the meeting. the item and may, if it so chooses, take action on the item following the discussion. Take note of the two bolded lines in the new language. Under this proposed language it only takes one Commissioner to request an agenda item be added and that item must be added to the draft agenda. While citizens appear to no longer be able to request agenda items directly as they could under the old rules, if just one Commissioner agrees with a citizen request, then that item can/must be added to the draft agenda. Furthermore, once added, removing an agenda item requires a public vote of the Board at the meeting. This may seem like a small thing to readers, but it could be a radical departure from the more closed manner in how things were done in the past. aShortChronicle made a similar recommendation in this piece, but the proppsed Rules go even further in this regard. That's a good thing. These small things can add up to make big differences. Here's to seeing that continue. Update: aShortChronicle missed something in the first pass. Citizens can ask for agenda items to be added. However, there is no obligation to put them on it. he or she must submit the request to the Town Manager at least six working days before the date of the meeting. The board is not obligated to place an item on the agenda merely because such a request has been received. Cornelius: It's been a long time since we've talked, Davidson. When was it last? Oh yeah, it was when you wrote us that letter about Antiquity Woods. Remember? You were mad that a project in our town had only one way in and out, and it would send all the traffic toward you? Can we talk about the Potts Development? It seems the roles are reversed. We really are worried about what this will do to us. Davidson: Don't worry about the one way in and out. We have a new Mobility Plan coming. Everyone in Davidson is going to walk or bike from now on. Charlotte is only about 23 miles. It's a new year--people really should be thinking about those weight-loss resolutions. Plus, the train is coming soon. Cornelius: But what about the environment? What about the Critical Watershed? What about the two streams on the land that connects us? Those streams empty into Lake Cornelius. What will this do to the lake? Davidson: Easy. We have a new text amendment coming. Have you seen our agenda for Tuesday? There won’t be a Lake Norman Protected Area in Davidson anymore. Oh, and the developer got two stream exemptions. So they don't exist anymore. Problem solved. No more streams. Cornelius: Are you really going to put a greenway down to a public park on the waterfront next to the YMCA in Cornelius? Where will everyone park? At the Y? Davidson: Well, the Y is a Christian organization. They won’t mind sharing. Plus, they just got a bigger parking lot. Cornelius: But remember what happened when Ramsey Creek Park opened? It was a parking nightmare. Davidson: Cornelius, you should try not to be so exclusive. The waterfront is for everyone. Just like the apartments. We pride ourselves on affordable housing and diversity. Cornelius: But I’ve heard the apartments are going to be very expensive. Like $1,500 or more. How will middle class families afford these apartments? And what impact will the project have on our already-overcrowded public schools? You know, Bailey and Hough do belong to both of us? Davidson: Families? Who said families? Cornelius: Well isn't that who lives in apartments in Davidson? Davidson: Silly Cornelius. There aren't many school-age children in apartments. The developer told us that in their application. They probably did their own independent study, so it must be true. Think about it--we are doing CMS a big favor by packing in these apartments. 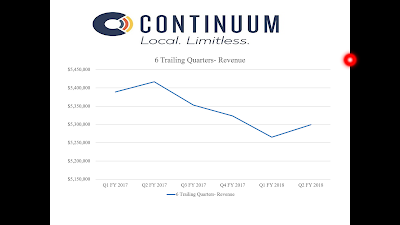 Cornelius: What about the traffic study? Five intersections need improvements. There are three changes recommended in Cornelius. Davidson: Easy. Payment in lieu, payment in lieu, payment in lieu, payment in lieu, and payment in lieu. 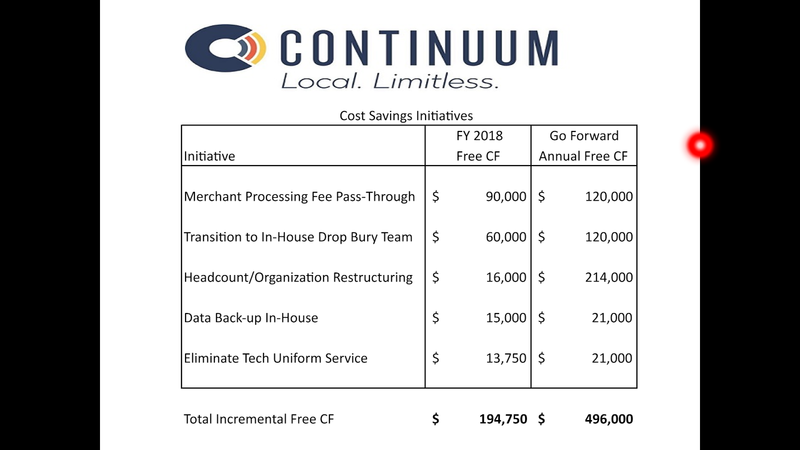 Cornelius: But the payments in lieu don't help traffic! And the development depends on the two NCDOT projects that may or may not happen by 2022! What will the residents in our towns do? Sit on 115 for four years? Davidson: They can use our Ten-Foot, Big Fat Sidewalks. We are putting them everywhere! Bike safety trumps Historic Preservation. Think of all the charming Davidson residents you will get to meet when you ride through their front yards! Cornelius: But won't that involve cutting down the oak trees on Potts Street? You know, half of that street is ours. Davidson: Cornelius, that area is just so dark with all those trees. Our Multi-Modal Cyclists would prefer more light. It will make everything much better if we remove those pesky trees. Cornelius: We've had it! You have excuses for everything. Text amendments, variances, payments in lieu, exemptions. You probably have an excuse for breaking the height restriction too. The previous conversation is fiction, but the issues and events are (sadly) real. One can easily see this back and forth between the two towns over the past couple of years. Head to Davidson Town Hall Tuesday for the new Board's first regular meeting and discussions on multiple issues impacting the area of the Potts Development to see if they handle things differently. These include the Watershed Text Amendments and the Mobility Plan. See agenda here. Davidson elected officials are set to meet for a "mini retreat" on Friday at Starette Farm in Troutman. The meeting runs from 9am to 4pm. It will be facilitated by a group called Fountainworks. Per Christina Shaul with the Town, their support "is a package deal for the mini-retreat on January 5 and the full retreat on January 24-26 for a total of $12,500. This includes meetings with the mayor, commissioners, and staff to prepare, facilitation preparation and day-of facilitation, supplies, travel expenses for the facilitator, etc"
Overall goal of this retreat is to lay a foundation for the Board to work collaboratively together and for the Board and Staff to work collaboratively together. The second retreat in late January will focus on setting strategic priorities. "I hope the main focus of the mini retreat centers on a shift in the way the town and it's citizens interact. Transparency and accountability were two buzz words during the campaign. I intend to carry through with those promises. Our staff is extremely talented and works in the best interest of the town. The direction the town has taken in the past has been one that sometimes put citizens and staff at odds. This should not be the case. With engagement from citizens and a more open dialogue, together we can do great things for our town. Our new Board will chart a new course and I think the end result will be positive for all." Very encouraging words from the town's new Mayor - words that probably sound more like music to the ears of many citizens. Citizens to get a seat at the table. Newly-elected Davidson officials and returning Town Manager, Jamie Justice, met Tuesday for the first work session of 2018. In a gesture both receptive and humble, they offered the lone citizen-attendee a seat at the table. Town officials began to chart a new course that regains citizen trust by providing more opportunities for public engagement. The next regular Board meeting is at Town Hall, Tuesday, January 9th, at 6:00 pm. Expect discussion of The Missing Middle and Watershed Ordinance Changes. Staff and officials will meet regarding development projects the week of January 15-19. 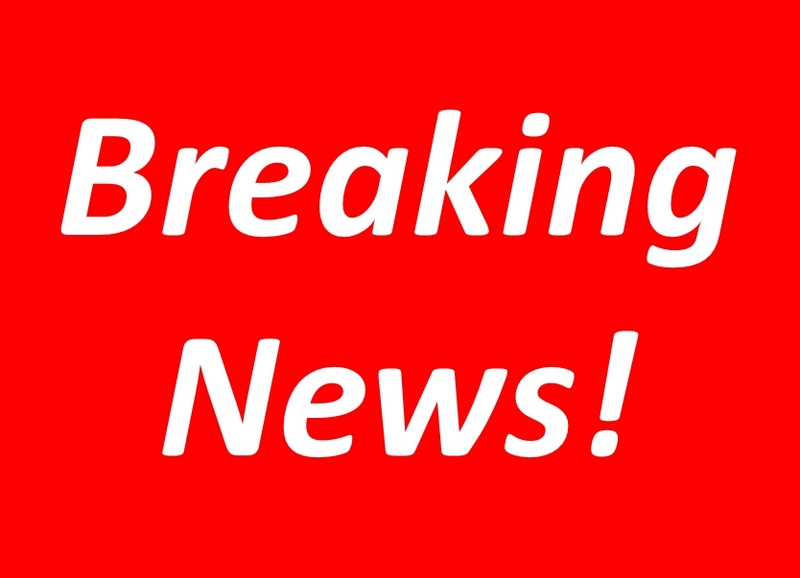 Jamie Justice stated that the Potts Street public input session is no longer imminent due to results of the Kimley-Horn Transportation Impact Analysis. The retreat January 24-27 will focus on the following issues: planning, growth, economic development, affordable housing, communication, community engagement, and financial planning. 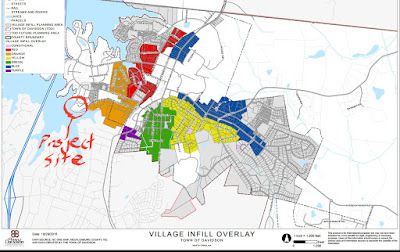 New developments and the "Missing Middle"
Two new developments submitted November 30th that popped up on the Town website in the past month would not have met the requirements for the proposed "Missing Middle" text amendments. That's the determination from comparing the applications for these projects and the proposed language in the text amendments. These text amendments could have potentially been voted on at the December meeting by the outgoing Board prior to seating new Board members, but they were not. Instead the ultimate decision on these will be left up to the newly seated elected officials. The Lake Cornelius Residential development submitted by Meeting Street is designed by the firm of former Davidson Commissioner Brian Jenest. The second project, Davidson Springs, is being developed by former Commissioner Rodney Graham. That's according to information on the Town website. 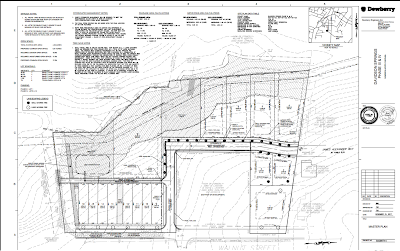 In the case of the Lake Cornelius Residential parcel located at the end of Catawba Avenue, the project was originally incorrectly shown as being in the Village Infill area when first put on the on the Town website. In fact, it is not. aShortChronicle verified with Planning Director Jason Burdett that this was an error on the website. (It has since been corrected.) The project is across the street from the Village Infill area and actually lies in the Lakeshore planning area. That means that even if the Missing Middle text amendments had been passed by the outgoing Board they would not have applied to this project. See below for the pictures. 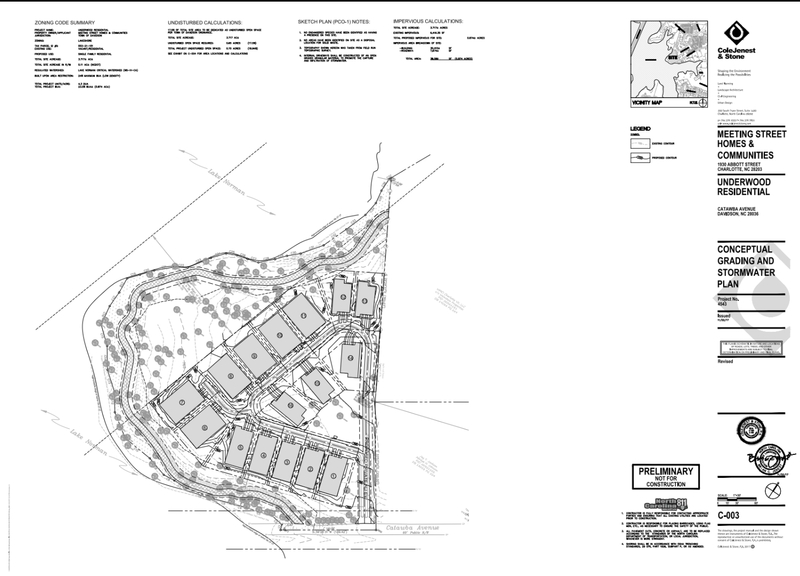 The Davidson Springs development on the other hand is in the Village Infill area located at the end of James Alexander Way off of Spring Street. This project as currently planned is 100% single family detached houses and townhomes. That would not have met the requirements of the proposed Missing Middle test amendments if they had been passed prior to submission of this project. 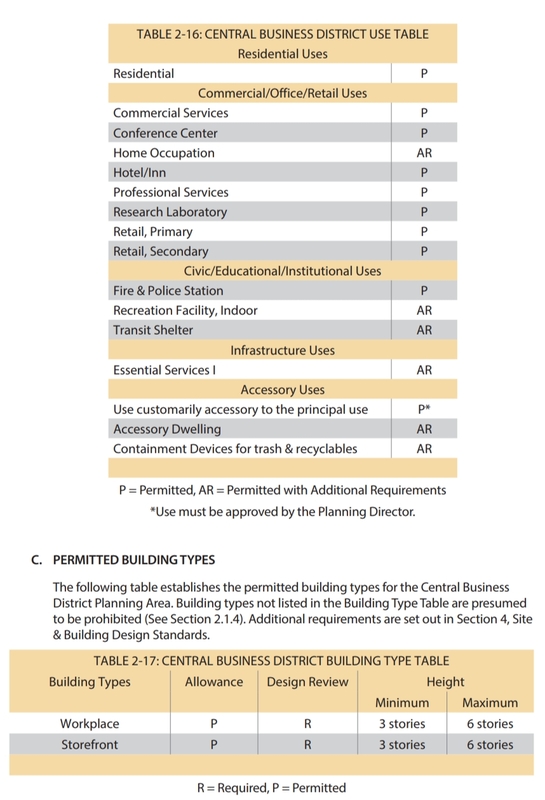 These requirements would have applied to developments greater than 3 acres, and Davidson Springs is over 4.5 acres. The project is 53% townhomes and 47% single family detached, both of which are less than the 60% stated in the proposed text amendment. However, that 60% applies to the total of this category. If the Missing Middle had passed prior to submitting this project, it would have been required to have some form of multi-family attached housing and reduce the number of single family detached and townhomes to no more than 60% of the total. That's per the answer to a follow-up question to the Davidson Planning Department. Per Planning Director, Jason Burdett, "the intent of the proposed missing middle was to insure a variety of building types (beyond SF or TH) in master planned community of three acres or greater. This mix would provide a greater opportunity for housing affordability while not sacrificing context-sensitivity of the surrounding neighborhoods. 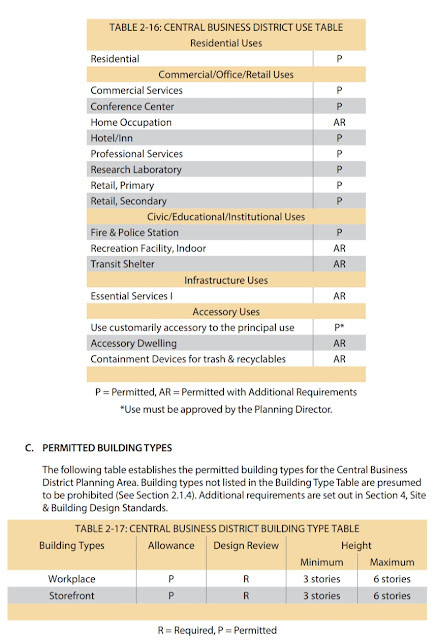 Staff proposed the two categories to ensure a building type beyond developers’ typical boilerplate plans–i.e. the Village Walk Up or Village Courtyard. Speaking in generalities, there’s a much higher likelihood that a duplex or quadplex could be affordable than a townhome. While Davidson Springs includes a mix of building types, as proposed, it would not have complied with the missing middle text amendment. However, this could all be moot. 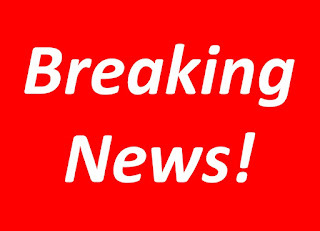 It remains to be seen if the new board of commissioners would like to proceed with the missing middle text amendments." As Burdett points out, all of this of course is just hypothetical because the Missing Middle text amendments were not passed by the outgoing Board. Instead, those proposed changes were left for the new set of Commissioners to potentially consider. Since both of these development applications were submitted prior to the Missing Middle changes being considered, these changes would not have applied to the projects. 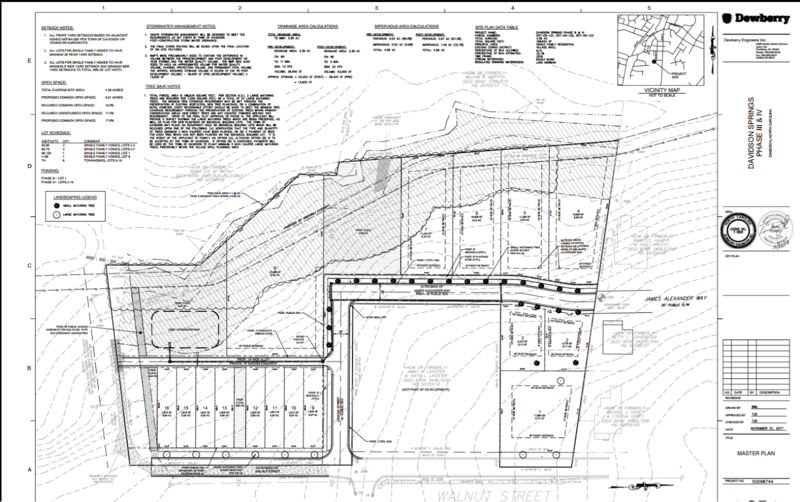 Only the zoning in place at the time of an application submittal applies. As explained earlier, that change would not have applied to the Lake Cornelius project in any event because it is just outside the Village Infill area where the Missing Middle would have an impact. On the Davidson Springs project the Missing Middle requirements would not be forced on the project because it was submitted just before the Missing Middle might have been passed. As can be seen in these cases, the location and timing of zoning changes are critical. When you have development industry people on an elected Board making decisions that could potentially impact their own projects, even in tangential ways, that always has the potential to raise uncomfortable questions or cause Commissioners to potentially have to recuse themselves. It may not have been a big deal here, and aShortChronicle is certainly glad the Missing Middle is still "missing" from Davidson's planning ordinance as we are skeptical on the Missing Middle's potential impact on affordability. However, not having these kinds of potentially sticky situations among Davidson's current Board members will certainly be a less complicated situation going forward, and that is a good thing.